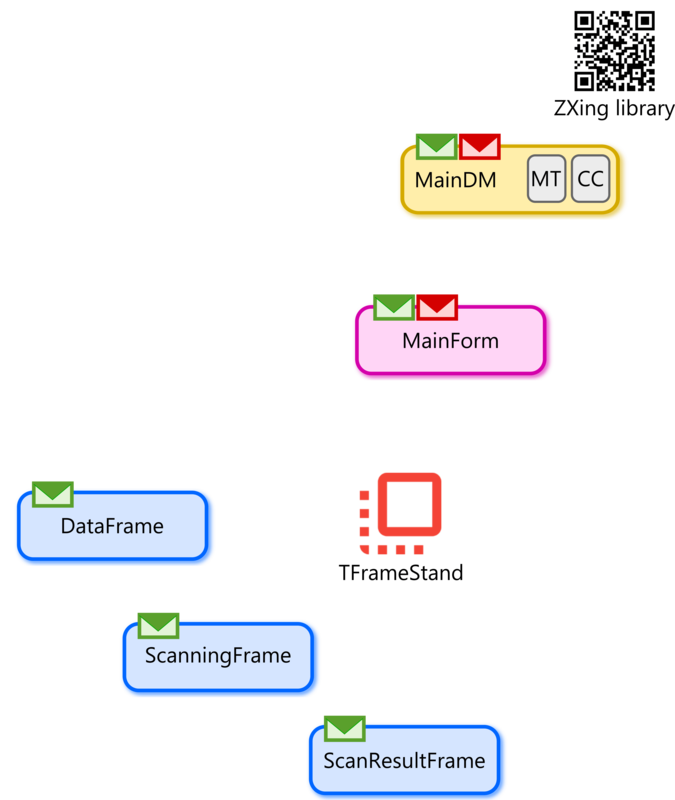 ScannerMApp: a QR/barcode scanner app with Delphi, ZXing and TFrameStand » Developer Team :: Best choice for developers! The ZXing project is the most popular open source barcode scanning library in Java and has been ported to different languages (C++, .Net C#, php, Objective-C, python, jаvascript and … Delphi! 🙂 ).